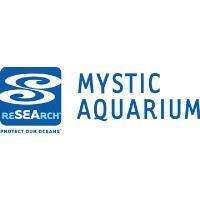 Mystic, CT – Allison D. Tuttle, DVM, Diplomate ACZM and Vice President of Biological Programs at Mystic Aquarium is headed to Taiwan as a Fulbright Specialist to assist the National Museum of Marine Biology and Aquarium. Tuttle will provide professional consultation as the organization looks to enhance its veterinary and husbandry programming. Board certified in zoological medicine, Tuttle will bring over 15 years of experience in the field of aquatic animal medicine and husbandry to the Museum to provide professional consultation for animal care. Fulbright Specialists are a diverse group of highly experienced, well-established faculty members and professionals who represent a wide variety of academic disciplines and professions. The Fulbright Specialist Program sends U.S. faculty and professionals to serve as expert consultants on curriculum, faculty development, institutional planning, and related subjects at academic institutions abroad for a period of 2 to 6 weeks. For Tuttle personally, the opportunity is gratifying in many ways - as an opportunity to teach, to learn and inspire. For some time, Tuttle has been consulting electronically on a periodic and volunteer basis with The National Museum of Marine Biology and Aquarium on beluga health, veterinary care and husbandry management. The Aquarium is an organization that strives to provide the best care possible for their belugas. They requested a Fulbright Specialist for a two-week period to not only critically evaluate their beluga whale veterinary and husbandry programs and environment, but also to help create a stronger platform of veterinary and husbandry management to improve the health and longevity of the belugas in their care. Tuttle’s trip is just one of many ways that Mystic Aquarium is having a global impact.